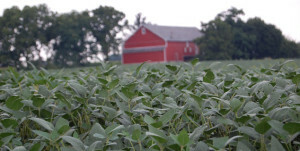 What is the Pennsylvania Soybean Board? The Pennsylvania Soybean Board (PSB) serves as the Qualified State Soybean Board (QSSB) for Pennsylvania farmers as part of the national soy checkoff program. The farmer-driven board oversees and manages Pennsylvania’s share of funds received from the checkoff program. Through the checkoff, each farmer contributes one-half of 1 percent of the price of each bushel at the first point of sale. The PSB keeps one-half of the checkoff funds collected to conduct state-specific soy research and promotion activities on farmers’ behalf. PSB primarily focuses on soybean research, marketing and education to support the profitability of Pennsylvania soybean farmers and the soybean industry. The funding is available through an assessment program, approved by Congress in 1990, in which soybean farmers contribute one-half of 1 percent of the price of each bushel at the point of sale. Checkoff funds work to develop markets, educate consumers, discover new uses and research new ways to produce soybeans more efficiently. The United Soybean Board (USB) directs the soy checkoff’s national efforts. USB consists of 69 volunteer farmer-directors, often nominated by their state-level checkoff organizations, and appointed to the national board by the U.S. secretary of agriculture. 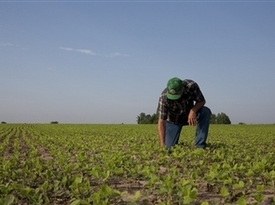 How does the soybean checkoff help individual soybean farmers? PSB considers providing farmers with cutting-edge research on soybean production one of our most important jobs. Variety trials, On-Farm Network, test plots and collaboration with university agronomists and weed and insect specialists provide valuable information to help farmers make informed crop management decisions that will improve their bottom lines. PSB also supports the sustainability of animal agriculture, the No. 1 customer for soy meal and a vital part of Pennsylvania agriculture and our state’s economy. On a broader level, the soy checkoff helps facilitate market growth and create new markets for soybeans through marketing, research and commercialization programs. A 2014 study conducted by Texas A&M University determined that the checkoff provides a $5.20 return on every checkoff dollar invested. 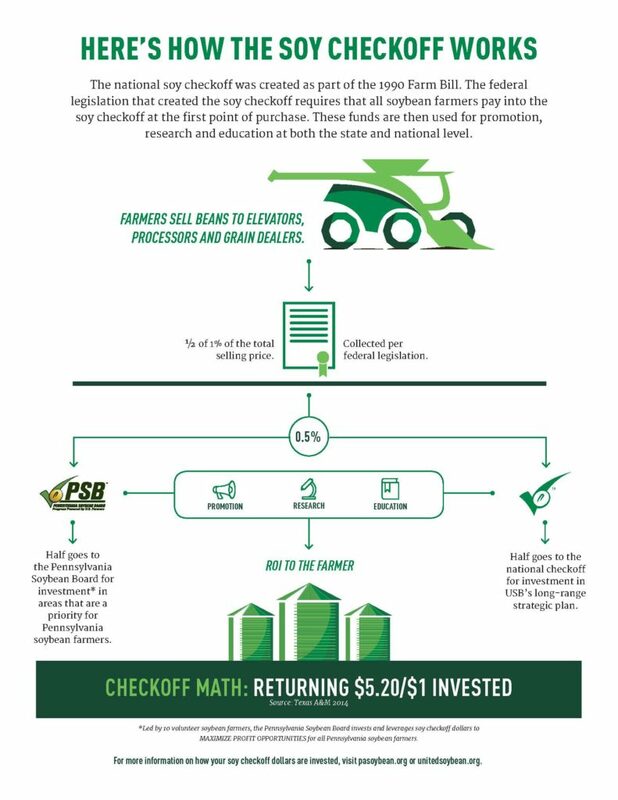 The federal law that created the soy checkoff requires that a return on investment study be conducted every five years. 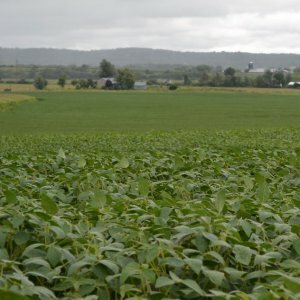 What is the difference between the Pennsylvania Soybean Board and the Mid-Atlantic Soybean Association? The Pennsylvania Soybean Board (PSB) and the Mid-Atlantic Soybean Association (MASA) are two different organizations. Both serve soybean farmers, but in distinctly different ways. Whereas PSB administers soybean checkoff activities focusing on research, education and market development, MASA focuses on public policy and regulatory issues, which, by law, the checkoff cannot do. The Mid-Atlantic Soybean Association (MASA) is a membership organization, supported by soybean farmers and the industry in Delaware, Maryland, New Jersey and Pennsylvania. 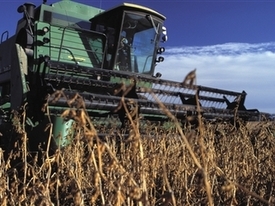 MASA is affiliated with the American Soybean Association (ASA). ASA focuses primarily on policy development and implementation, and it works to accomplish the policy goals established by its farmer-members. ASA does this by testifying before Congress, lobbying the legislative and executive branches of government, contacting members and working with the media. The soy checkoff, a distinctly different program, receives funding through an assessment required at the first point of sale for soybeans. The checkoff is expressly prohibited from influencing public and regulatory policy in the United States. 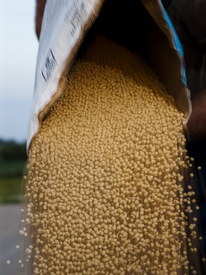 To learn more about the national soy checkoff, please visit www.UnitedSoybean.org.